What will follow the iPhone 6? Nobody really knows what Apple has in store for its new iPhone whether it's the iPhone 7 or iPhone 6s. But such is interest in the device that many educated people are already willing to take a guess and the latest is Chinese securities analyst Ming-Chi Kuo who revealed he has a number of ideas about what's in store. Ming-Chi Kuo's predictions carry more weight than most, however, as he's been on the money a number of times in the past. First up he says the new iPhones are in line for an Apple Watch-style Force Touch upgrade, which seems likely enough. Ming-Chi Kuo also reckons that casing materials will be improved and that there'll be a new rose gold colour to choose from, which is another nod to Apple's new wearable. Sapphire screens might be available in limited quantities too. The camera - already one of the best on the market - is set for a bump up to 12-megapixels to make your snaps even better, while the upgraded A9 processor will get 2GB of RAM to work with (double that in the iPhone 6). Other minor improvements put forward by Ming-Chi Kuo include gesture control support and a new microphone near the speaker. Touch ID is also set for an upgrade with Apple Pay in mind. 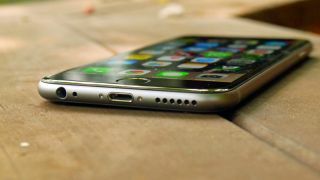 Ming-Chi Kuo says there will be no new 4-inch model - Apple is going to stick to the 4.7-inch and 5.5-inch sizes instead. Finally, the analyst expects production to begin in mid-to-late August. And that's your lot - until the next analyst takes a punt on predictions.